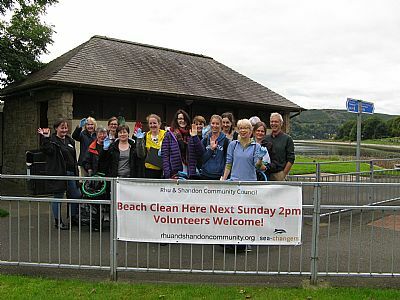 Seventeen hardy souls cleaned 100m of beach. Plastic was in abundance but most pieces were very small so the number of bags we filled was less than in the past. We had volunteers from Alexandria Ben and his mum from Glasgow and several from Helensburgh. We had a fantastic turnout with over 50 participants. A special thank you to the large number of Rhu Beavers and their helper's who attended. I hope they enjoyed themselves as much as they appeared to, and now have a raised awareness of the problems faced by our beaches and the marine environment in general. They certainly brightened up the proceedings. 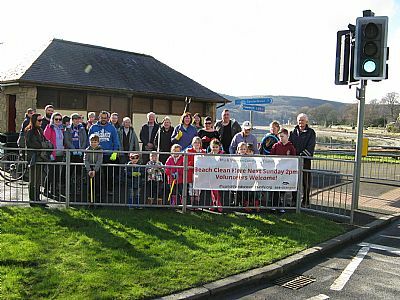 100m stretch from Manse Brae to the Rosslea Hotel entrance was cleaned and recorded, and some went further afield for a more comprehensive clean. 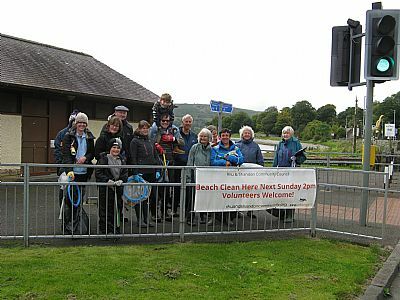 Over thirty folk of all ages took place in a beach clean. On a glorious springlike day we cleaned from the Hangars right round to the lighthouse.